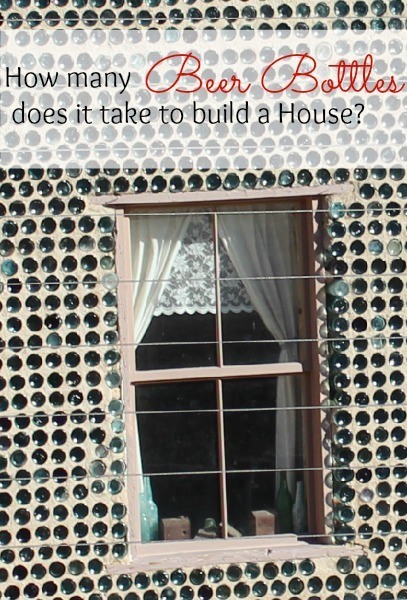 That’s a good question and you should be able to find the answer when you visit the Tom Kelly Bottle House in Nevada. But the answer varies. According to two sources, it’s between 30,000 to 50,000 bottles. The bulk of those are unwashed beer bottles but if you look closely, you may find whiskey, soda and a few medicine bottles as well. 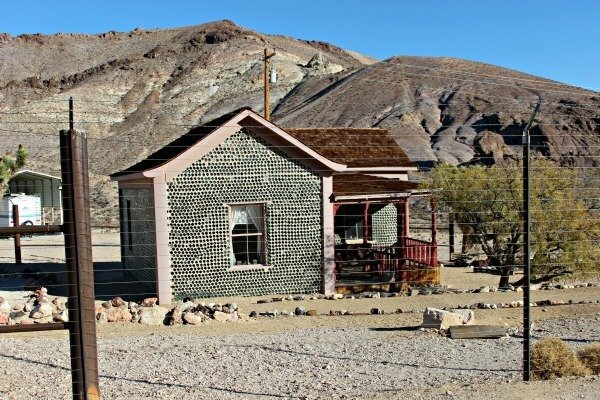 In 1906, Tom Kelly, began to construct his bottle house from discarded bottles he collected from local saloons in the town of Rhyolite, located along the eastern edge of Death Valley. The now defunct ghost town was booming and lumber was in short supply. It took this 76-year old miner six months to complete this home, which I think is safe to say is the ultimate “upcycle” project. The prosperity of this gold rush town didn’t last and when the gold dried up, so did the town. The home was abandoned sometime between 1912- 1914. The home sat empty until around 1925 when it was restored and reroofed by Paramount Pictures to be used as a setting for the silent film, The Air Mail, an action movie starring Warner Baxter, Billie Dove, Mary Brian and Douglas Fairbanks. This historical site was then maintained as a museum with various inhabitants until 1956. Today there is a locked fence that surrounds the property. Visitors are able to get a closer look only when the gate is open and the caretaker is on property. No one is permitted inside the structure. I didn’t happen to visit when the gate was unlocked, but I did find this short video that offers a closer look, including the interior, of this roadside attraction. You’ll find the Bottle House just off Hwy 374 within the Rhyolite Ghost Town, the largest in Death Valley National Park. I’m sure he must have been quite the character. Looks like a very interesting spot. That takes some dedication to build! I wonder how long it took to find all those beer bottles. 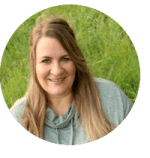 How did you find out about the place? I saw the Bottle House on RoadsideAmerica.com. 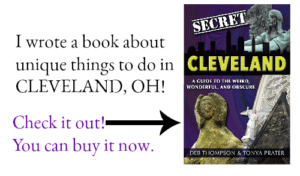 It’s my favorite place to find fun, quirky attractions. I love these far-out places you find for us! This one is still making me smile. Great job! WOW that is a lot of beer bottles, I am impressed! I love that it was built out of necessity, not as a novelty. That makes it all the more interesting. How cool is that? I’ve never seen such a thing! Wow! What a really cool attraction. I bet it is beautiful when the sun reflects off the glass. That is pretty darn hilarious. I could do this with coke bottles! That is cool and an awesome pit stop! We’re hoping to make it back to Death Valley this year and I’l be sure to stop by here. That is one dedicated beer lover. Love this house. Believe it or not I’ve been there and this is definitely an amazing way to recycle bottles! The guy who built this was before his time, for sure. That is unbelievable! I wonder how the house felt and looked from the inside. Was it cooler? Really interesting! Love seeing things like this when we’re on the road. That is so cool! I love when people reuse items to build things I would never even start to think of. wow that is really neat. I would totally visit that! That is really neat. Do you think husbands told their wives they would be out late drinking so they could help him build his house? I’m not sure, but I’m thinking there wouldn’t have been many wives in the saloon town. Probably a bunch of bored bachelors with lots of time on their hands. Wow, that’s insane! I need to find stuff like this for our Colorado road trip this August. I’m a fan of http://www.roadsideamerica.com. They also have an app for the iPhone which makes it pretty easy to find unique attractions like this on the road. I use it every time we travel. That is pretty dang cool! I think that might be the most interesting house I’ve ever seen! Mr. Kelly was way before his time. What a great way to re-purpose old bottles. Awe I was hoping that you could see the bottles on the inside too, wouldn’t it have been amazing to see the light through them, but then you probably would have cooked to death LOL. There’s a bottle house in Houston, too, that I’ve been meaning to visit. Perhaps this was just an excuse for Tom Kelly and his friends to drink a lot. “I’d love to stop, but we have a house to build!” would be they’re rallying cry. This looks like exactly the type of place you’d like. What did the kids think? What an enterprising idea! I’m not so sure how warm it would have been in the winter! Or how cool it would be in the hot desert summer! Now that is a roadside attraction. Did he drink the contents of all the bottles? No, he actually collected the bottles from local saloons but it’s probably safe to say he drank quite a bit as there was a water shortage. There were originally three homes in this Rhyolite. The Tom Kelly home is the only one that remains standing in the ghost town.